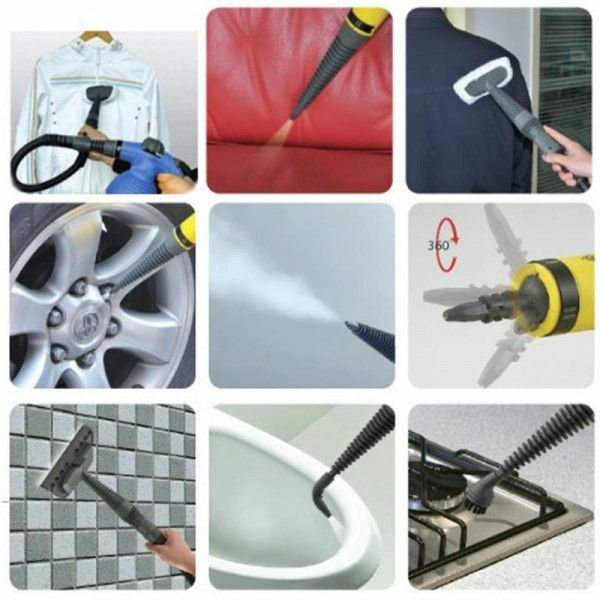 The DBTech Multi-Purpose Pressurized Steam Cleaning and Sanitizing System is incredibly versatile. We found dozens of uses for this steamer, and its compact design makes it a smart buy. Once we powered up this handheld steamer, it only took three minutes for it to warm up. It holds six ounces of water and includes a generous 12-foot power cord. Although the versatility of this model is great, we did find that it sometimes did not produce enough steam for the job. In some cases, we had issues with water leaking. Copyright © 2015-2017 Steamer Specialists. All Rights Reserved.